Pulse-Extraction-Process (P.E.P) optimises the extraction time by pulsing the hot water through the ground coffee at short intervals. This process allows the flavours of the coffee to fully develop. The coffee strength is infinitely variable to suit individual tastes. 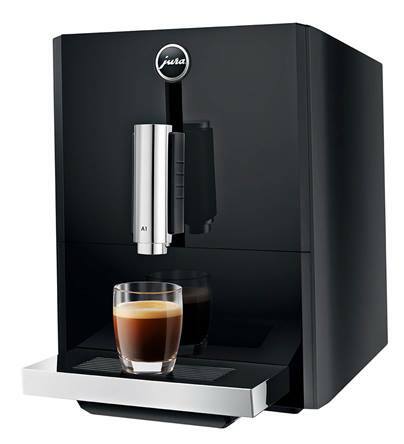 JURA has perfected the complete brewing process for short speciality coffees. That‘s why the A1 prepares these beverages to the high standard you would expect in a coffee bar. 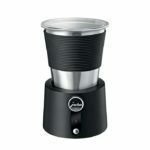 The multi-level AromaG3 grinder ensures that the coffee is optimally ground. It always grinds the beans fresh, quickly yet gently to preserve the aroma. 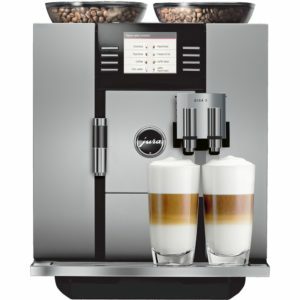 The variable brewing unit has a capacity of 6 to 10 grams and ensures the ideal brewing conditions at all times. The Pulse Extraction Process (P.E.P.®) developed by JURA optimises the extraction time. To make a ristretto or espresso, it forces the hot water through the ground coffee at short intervals. This process allows the flavours of the coffee to fully develop. A minimised operating panel results in maximised enjoyment: one touch is enough. Three different cup sizes can be permanently programmed and two coffee strengths selected. The automatic energy-saving mode with programmable switch-off time and patented Zero-Energy Switch ensure high energy efficiency. 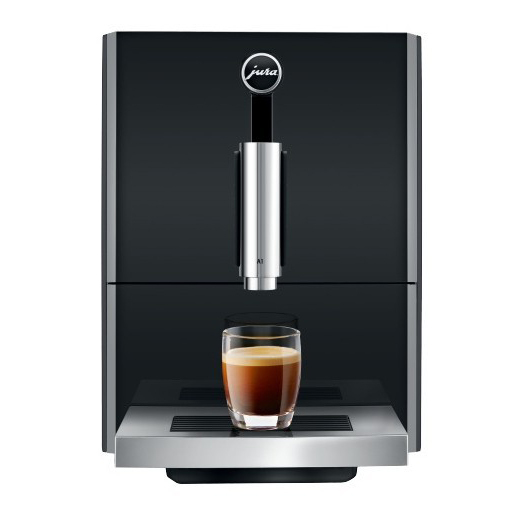 With the A1, JURA is presenting the ideal one-cup machine for coffee purists and those buying their first coffee machine. 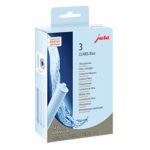 It is designed to be as small as possible and will comfortably fit anywhere thanks to its ultra-compact design. It prepares coffees of an enticing quality and, thanks to the Pulse Extraction Process (P.E.P.®), it can also produce espresso and ristretto to the same standard. All that is required to start preparing one is to press the state-of-the-art touch panel. Present your perfect coffee results in a fitting manner and enjoy the sight of the fine crema on a white background – cup after cup. 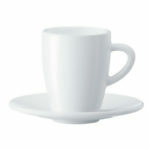 This elegant coffee cup was created by the famous designer Wolfgang Jönsson exclusively for JURA. The cups are available as sets of 2 or 6 incl. saucers. The JURA Milk Frother is the quick, easy, no-mess way to make perfect, velvety-soft milk foam for cold drinks such as latte frio, cold chocolate and many other popular specialities. 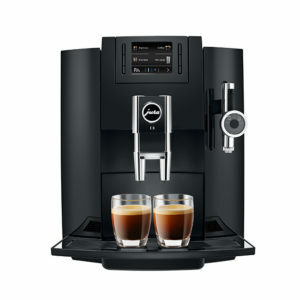 It’s the perfect addition to any coffee machine and an indispensable aid for all lovers of speciality beverages. 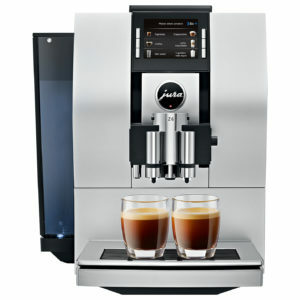 Easy to operate using a single button, it prepares cold, warm or hot milk foam in a flash. 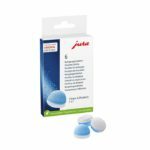 JURA 2-PHASE CLEANING TABLETS 6 PCS. 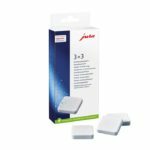 JURA 2-PHASE DESCALING TABLETS 3 PCS. It takes a lot of effort to remove annoying fingerprints and water stains from your JURA automatic coffee machine with a standard cloth. The microfibre cloth specially developed for JURA allows you to easily keep the front of your automatic machine looking pristine. It is suitable for chrome, aluminium, metal, wood, textile and leather surfaces.